Bloch Prolite II Canvas Ballet Slippers$18.99Clearance Price! 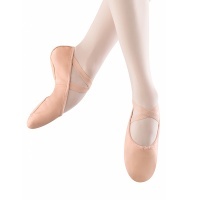 Bloch Prolite II Hybrid Ballet Slippers$23.00Clearance Price! Bloch Synchrony Child's Ballet Slippers$15.90Clearance Price! Bloch Zenith Adult Ballet Slippers - Pink$18.90Clearance Price! Bloch Zenith Adult Ballet Slippers - Black$18.90Clearance Price! Capezio Adult Gracie Ballet Slippers$15.80Clearance Price! Capezio Adult Juliet Canvas Ballet Slippers$15.75Clearance Price! Capezio Child's Juliet Canvas Ballet Slippers$15.00Clearance Price! Capezio Adult Juliet Leather Ballet Slippers$25.00Clearance Price!